Home » BJJ History » Are there differences between Brazilian Jiu-Jitsu schools? Brazilian Jiu-Jitsu schools can teach self defense, sports BJJ, no-gi, and MMA. Some schools teach all of these, and some only focus on certain ones. Each BJJ association has a reputation for which aspects it’s good at, but individual schools can vary widely since each instructor will have their own approach and teaching methods. A sport-oriented school can still have a self defense program for beginners. In fact, most beginners programs teach self defense even if not it’s not explicitly stated, simply because basic grappling skills apply in those situations. Any school with good fundamentals and live sparring will help prepare you for self defense. A few schools may go much deeper into self defense training with defenses against knives, guns, multiple attackers, and specific situations (e.g. being pushing into a corner or attacked while sitting down). These are rare though, since the best lesson you can learn about most of these situations is “you will likely die and you should avoid these at all cost.” See BJJ for Self Defense. BJJ schools that only do no-gi tend to also do MMA. BJJ gyms that are strictly for MMA are rare. MMA training at BJJ schools is usually for advanced students and MMA competitors, not anyone who walks in off the street. When a MMA gym claims to teach BJJ, look into the qualifications of the instructor. There’s a difference between a BJJ black or brown belt who teaches MMA and BJJ, and a “MMA” guy who lumps BJJ and everything else into what he says he’s teaching because he throws in some armbars. 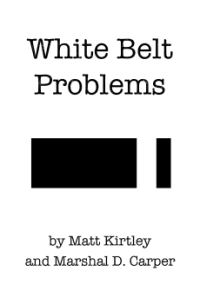 Gracie traditionalists tend to focus on self defense in the gi, and maybe some no-gi and MMA. They usually adhere to classic techniques and don’t follow trends in sport BJJ. Schools with connections to Helio’s sons have this reputation, such as Rorion’s Gracie Academy, Rickson, Relson, Royce, and Royler. That’s not to say these schools don’t also create good BJJ competitors. Many of them do. But you don’t see gold medalist black belts spending much time on headlocks escapes and blocking haymakers. Schools in Carlos Gracie Jr.’s Gracie Barra association have a reputation for being focused on sport BJJ. As a certified GB instructor, I’ll say that’s fairly accurate, but the standard GB Fundamentals curriculum is focused solely on self defense, and most GB schools have no-gi too, and some offer MMA classes for more advanced students, so it’s hard to generalize. Each individual instructor will have their differences. An instructor who is big, strong, and aggressive will teach differently than a small, light one. Someone with a background in wrestling will teach differently than one who did judo. Someone with a strict traditional martial arts background will be different than a laid back surfer. All of these factors will affect the focus of the school, the type of curriculum taught, the emphasis on self defense or sport, gi or no-gi or MMA. Rather than trying to choose between schools based on their affiliation’s reputation and the instructor bio page, I recommend signing up for trial classes at each BJJ you’re interested in, and picking the one that suits you best based on hands-on experience. Cane Prevost wrote a wonderful piece called Evaluate a gym in 5 minutes or less. that I recommend reading.